Downtown Crossing is an interesting place. We all know it is one of the most central meeting points in Boston. We all know there are tons of restaurants to choose from in the area. Yet every time someone asks for a restaurant recommendation in the area, you get a lot of “Umms”. Well, last week I was meeting my friend Lauren to discuss a little Gamma Phi Beta business. We had a VERY short list of possible restaurants, and did some menu browsing to make our decision. It did not take long for the menu at Silvertone Bar & Grill to win the contest. I don’t know what I was expecting, but I was surprised to find the bar/diner buzzing when we arrived at lunch time. After walking down the stairs to enter the basement establishment, I was also surprised to find a super cool, kitschy, almost 50’s atmosphere. There was a wait for lunch, but we were quickly sat in one of the booths. Our waiter came over quickly and told us about the day’s specials. Luckily my lunch partner was a sharer, and we quickly chose to share the Mac & Cheese topped with toasted buttered breadcrumbs and bacon and served with greens (which I am just now realizing did not accompany our meal), and the steak sandwich with watercress, tomato and lemon-basil mayo on baguette served with onion rings. 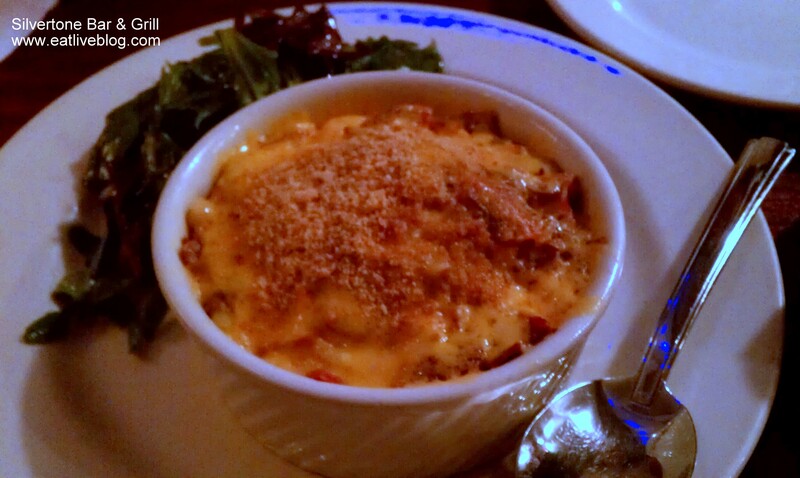 I had heard amazing things about the mac & cheese, so I especially excited about this dish. But, sometimes expectations are a bad thing. The mac & cheese was indeed good. 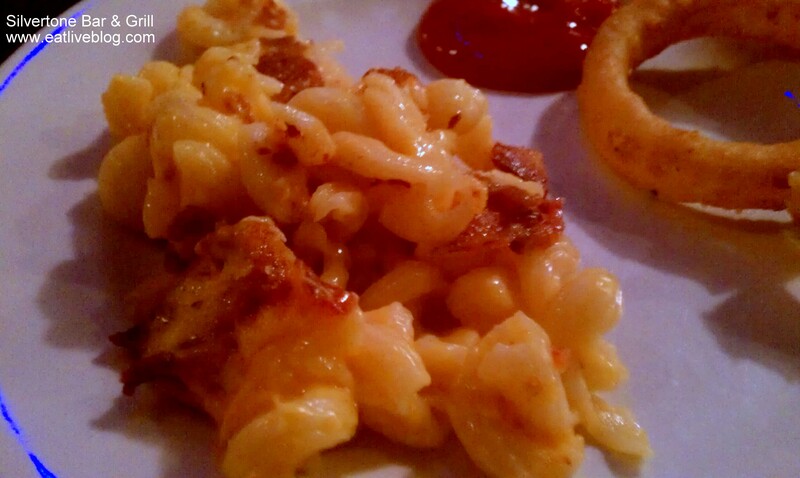 But the best mac & cheese I have had, sadly it was not. It was a little bland for my taste. The texture, however, was spot on. 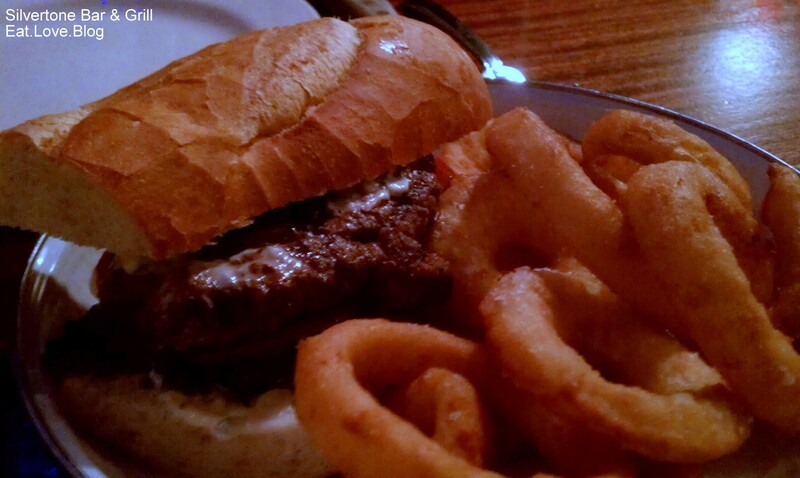 I was shocked to be completely wowed by the steak sandwich. This time expectations were a good thing. I was expecting standard, and received way above par. The steak nearly melted in my mouth, cooked a perfect medium rare. The lemon-basil mayo had a perfect tang to give the sandwich a slight zip. It was one of the best steak sandwiches I have had in ages. But now, let’s talk onion rings. I am not particularly a fan. Sure, when someone else orders them I will steal one or two, but it is very rare that I will order them. So when these arrived next to the steak sandwich, I was a little sad that I hadn’t realized they were accompanying the sandwich in order to sub them out. But, of course, I ate them anyway. AND THEY WERE SPECTACULAR! The batter had just the right amount of seasoning, with a good amount of salt (which is a good thing in my book). When I bit into the ring, the breading was crispy and I was able to easily bite off the onion without the whole thing dragging out of the batter. There is nothing worse than the entire onion coming out of the batter on the first bite. It is very rare that I have a great lunch and focus my review mainly on the side dish. But here it is! Now, who else is craving onion rings…. Disclaimer: Our meal was complimentary, but as always all opinions are my own. 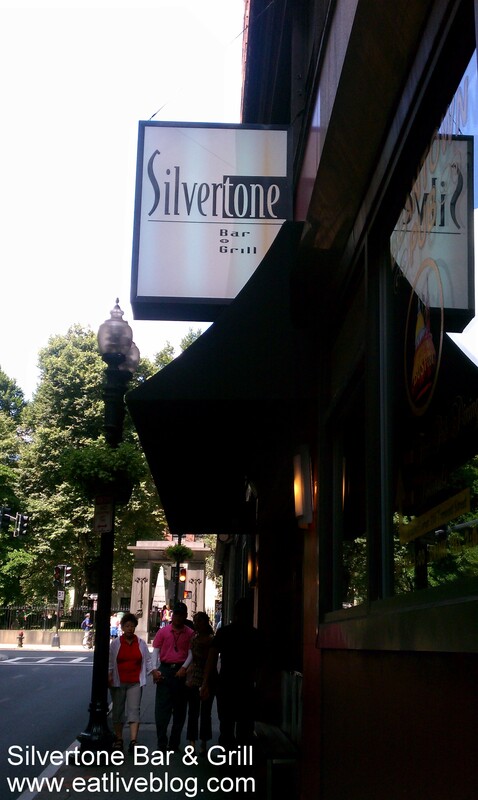 This entry was posted in Reviews and tagged boston, downtown crossing, lunch, macaroni and cheese, onion rings, restaurant, review, Silvertone Bar & Grill, steak sandwich by reneeh. Bookmark the permalink. I love Silvertone! They have a raspberry cosmo that has a little sugar on the rim that is just perfect. Good call on splitting the mac & cheese. It is so much food, but the salad that comes with it is wonderful!